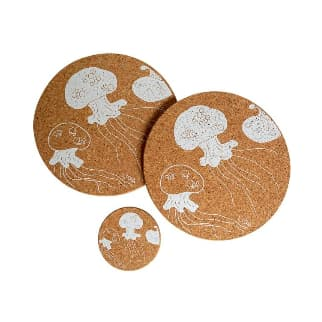 Jellyfish Cork Placemat from LIGA. Cork is wonderful, sustainable, practical and all natural. Eight Coastal inspired coasters with matching placemats. Look great as a set or mix and match. Easy to wipe clean and heat resistant. The Clementine in Cornwall, United Kingdom.